Holly Plume is a book blogger that uses the name Sultry Scarlet; after having blasted the worst book she has ever read written by someone she is certain is a man trying to impersonate a woman. 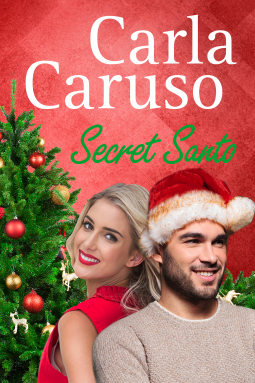 After venting to cyberspace, she's off to a Christmas party, where she hopes to meet her literary idol AJ Ruffo; all she has to do is figure out who he is. Santo Randolfi uses the name AJ Ruffo to publish his best-sellers; to his surprise and delight he happens to stumble upon Sultry Scarlet. Now all he has to do is get her to notice him for him and not his writing genius. Who cares if he has to tell a little white lie? This was a super mini short read; the whole story takes place in the space of like 24 hours. The story was amusing, however, I felt like I was reading the first two chapters of a book. I think, the author should consider expanding their story, or maybe another mini story featuring the two. I'm giving it 3 stars because I liked the premise and I got a few good laughs.